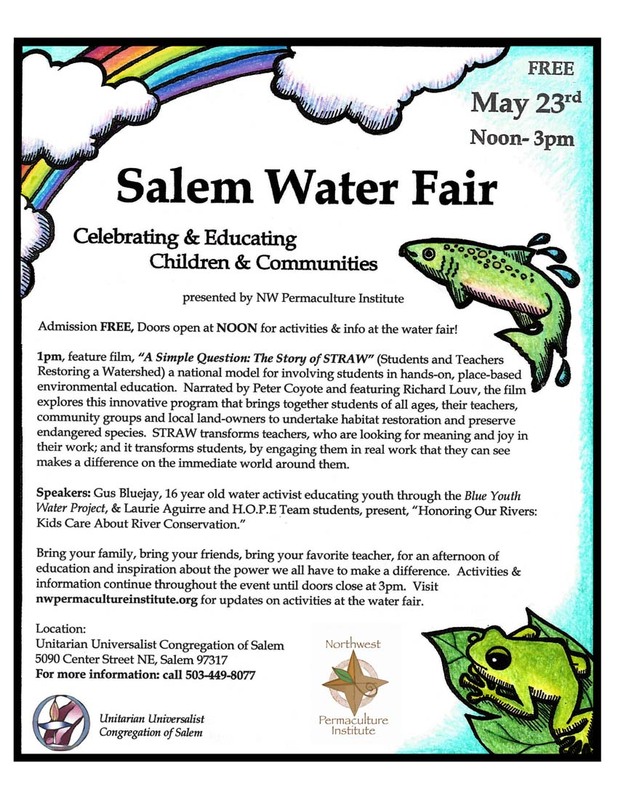 Let’s talk about water… Inviting you to the Salem Water Fair, May 23rd from noon to 3pm! Film, speakers, activites, and free drawing! I want to talk to the Governor about drought. About how the situation in California looms before us after Oregon’s meager winter. How chemical agriculture kills the life in soils until the the topsoil no longer acts as a living sponge to slowly replenish ground waters. I want to talk to the Governor about rainfall. As much as 75% of the rainfall in an area comes from transpiration from trees. We need to plant trees – everywhere. Better they be food trees to doubly address the issues of community hunger. I want to talk to the Governor about bottled water, and the shady wisdom of handing over our little share of the fraction of a percent of drinkable ground water left on earth to corporate profits, destabilizing the livability of this region for future generations. I want to talk to the Governor about children, about the necessity of inspiring in our youth a love of the land, and the water here in Oregon, so they will step up to respect and protect resources in the future. Inviting Governor Brown, all teachers, and all Oregon children to the Salem Water Fair, May 23rd. Categories: Uncategorized | Tags: conservation, education, fair, habitat, kids, permaculture, restoration, salem, STRAW, water, youth | Permalink. Admission FREE, Doors open at NOON for activities, prizes & info at the water fair! 1pm, feature film, “A Simple Question: The Story of STRAW” (Students and Teachers Restoring a Watershed) a national model for involving students in hands-on, place-based environmental education. Narrated by Peter Coyote and featuring Richard Louv, the film explores this innovative program that brings together students of all ages, their teachers, community groups and local land-owners to undertake habitat restoration and preserve endangered species. STRAW transforms teachers, who are looking for meaning and joy in their work; and it transforms students, by engaging them in real work that they can see makes a difference on the immediate world around them. Bring your family, bring your friends, bring your favorite teacher, for an afternoon of education and inspiration about the power we all have to make a difference. Activities & information continue throughout the event until doors close at 3pm. Updates on activities at the water fair coming soon. Make your own free power from the sun! Solar panels are easy to install and have no moving parts. 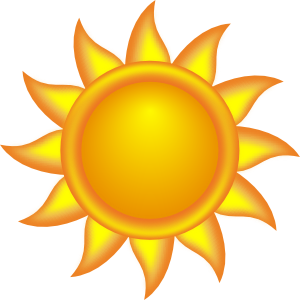 You can even SELL power back to the power company and make money every time the sun is shining. Markus Rothkranz takes you through his creative solar powered home and shows you how to make your own power from the sun, with lots of energy saving tips. After the film we will be joined by Brian Zoeller, a Sr. Energy Consultant with SolarCity. He will speak briefly on who SolarCity is, how it changed the business model for solar, how folks can participate in making a choice about where their power comes from, and answer questions. SolarCity is the nations largest solar provider operating in 17 states currently with over 200,000 customers. It has deep technological roots tied to its founder, Elon Musk, of Tesla, Space X and PayPal. SolarCity provides qualified homeowners a choice of having a large portion of their power come from the sun, feeding their home directly, and with no up-front cost; its solar as a service and people pay monthly for cleaner, cheaper power. SolarCity handles the entire project, process, system, warranties and repairs for decades. Categories: Uncategorized | Tags: alternatives, community, design, energy, film, free, home, homesteading, local, permaculture, salem, solar, solar power, solarcity, sun | Permalink.